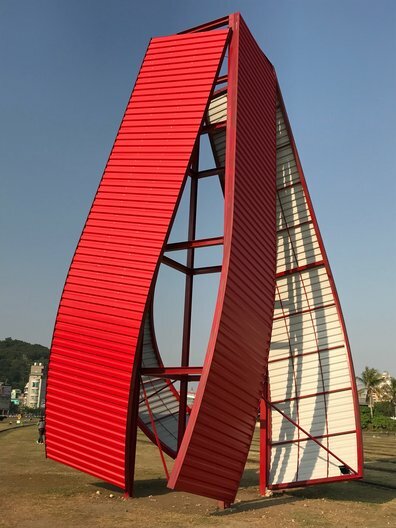 At the beginning of this year our Programme Coordinator Jacob de Munnik visited Taiwan to help install the Design Museum’s exhibition New Old at the Kaohsiung Museum of Fine Arts. He also did some scoping work for the ADF team and met cultural organisations who we could potentially collaborate with in the future. Below he shares his experiences of this exciting trip. No better way to be introduced to a new place than by working with the local cultural and creative industry! During my first week in Taiwan I was based in Kaohsiung, the country’s famous port city located in the southern part of the island. I helped the Design Museum set up their touring exhibition New Old at the Kaohsiung Museum of Fine Arts (KMFA). 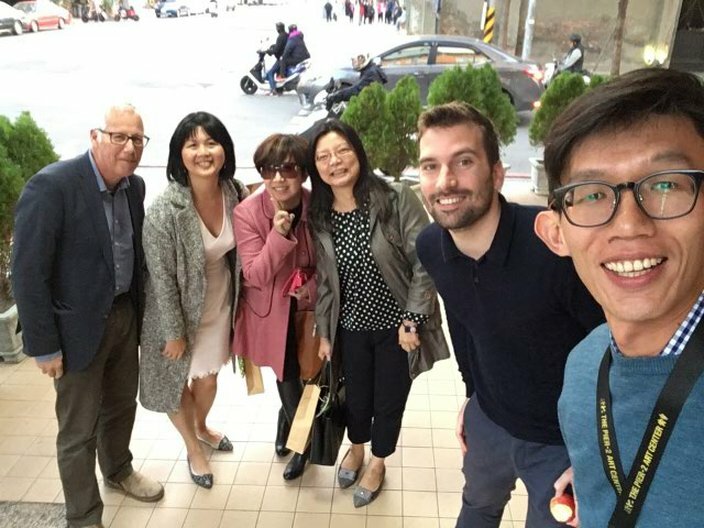 During my second week I travelled up north to Taipei to explore more cultural organisations and institutions to find ways of working together in the future. At the KMFA I was involved in the practical aspects of installing a touring exhibition, which meant I helped unpacking crates, condition checking of the art works, object placement and assisting the rest of the installation team including the technicians, curators and the exhibition designers in the lead up to the opening. 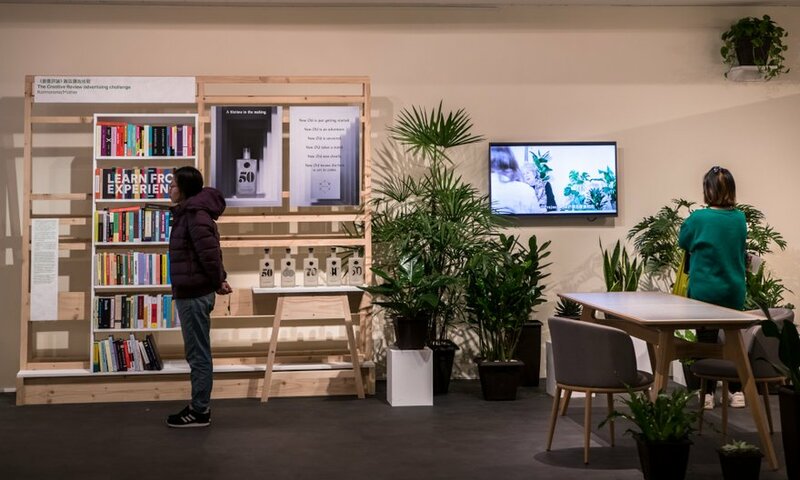 The exhibition looked at how design can help people lead fuller, healthier and more rewarding lives into old age, asking the question: how can designers meet the challenge of a rapidly ageing society? From robotic clothing to driverless cars, the exhibition rethought how design approached ageing. The exhibition was curated by Jeremy Myerson, Helen Hamlyn Professor of Design at the Royal College of Art, who was in Kaohsiung to open the exhibition and give a lecture on the topic of design and ageing. The thing I took away from the exhibition is that we need to rethink how society looks at the older generations now that life expectancy is going up and people live longer lives. This opens up a huge opportunity for design to support the lives of this generation to make sure they can live a happy and active life at an older age. 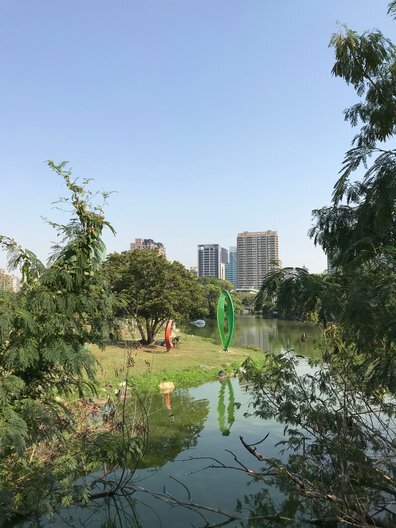 If you happen to visit the KMFA make sure to schedule in some extra time to walk around the adjacent ecological park and sculpture garden which is a beautiful and peaceful place amidst the business of Kaohsiung’s city life. Another must visit in Kaohsiung is Pier-2 Art Center, which is located in the old warehouses and train station that used to serve the historic harbour of the city. When the harbour relocated to a bigger space outside the city centre the area became derelict until 2000, when a group of young creatives started using the area for creative practices. Nowadays it’s a very lively and artistic area, with over 20 warehouses full of exhibition spaces, artist studios, galleries, co-working spaces, art fairs, public art and residency programmes. Pier-2 Art Center also hosts the annual Kaohsiung Design Festival, which had its 10th anniversary last year. My train ride from Kaohsiung to Taipei gave me a beautiful insight into the stunning nature Taiwan has to offer and got me already fantasizing about a next trip to the country that would include hiking and cycling in its breath taking mountain landscape. Taipei boasts a wide range of interesting museums and cultural organisations. Sadly I didn’t have time to visit them all, but one of my favourites was the Museum of Contemporary Art (MOCA). The museum doesn’t showcase a permanent collection, but instead has a wide variety of changing exhibitions every couple of months. I was lucky to visit the Taipei Art Awards exhibition, which showcased the nominated artists and designers, a real testament to the dynamic and emerging contemporary art scene that Taiwan has. 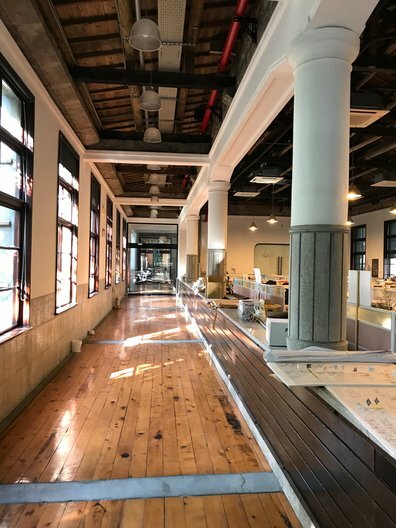 However, if you have only one spare day to spend in Taipei, I would suggest to visit the Songshan Culture and Creative Park (SCCP), which is a multifunctional park in a former tobacco factory that houses many creative organisations and hubs alongside various exhibitions spaces, maker spaces, design shops and cafes. They also have a vast events programme and host various designers in residence programmes that you can interact with. A true art and design heaven! SCCP likes to describe themselves as a “creative platform that sits between the city government, industry experts and the Taiwanese citizens”. 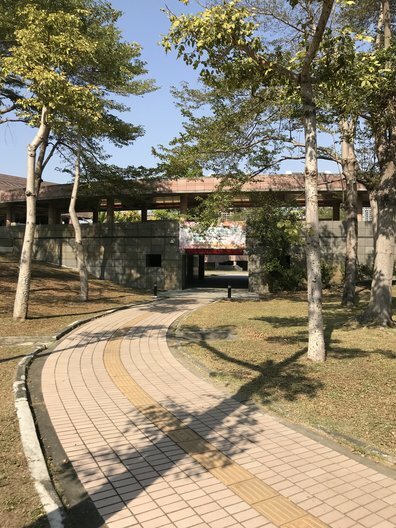 This results in a dynamic environment of creative expression that is unique for Taiwan and well worth a visit. After being immersed in the Taiwanese cultural sector for two weeks I feel I got a real sense of the country, its people and the current state of the cultural sector. A lot of inspiring ideas have emerged from my meetings with all these impressive organisations which will lead to more interesting cultural dialogues and programmes between the UK and Taiwan in the future…watch this space!